Advocacy Update: #DefendTheGIBill, #BurnPits, & More! The House and Senate were back to work this week and the IAVA team is busy building victories across all of the Big Six priorities. We submitted a statement for the record on delayed GI Bill payments, continued our #BurnPits awareness campaign in the media, and added 4 new cosponsors to IAVA-backed legislation! 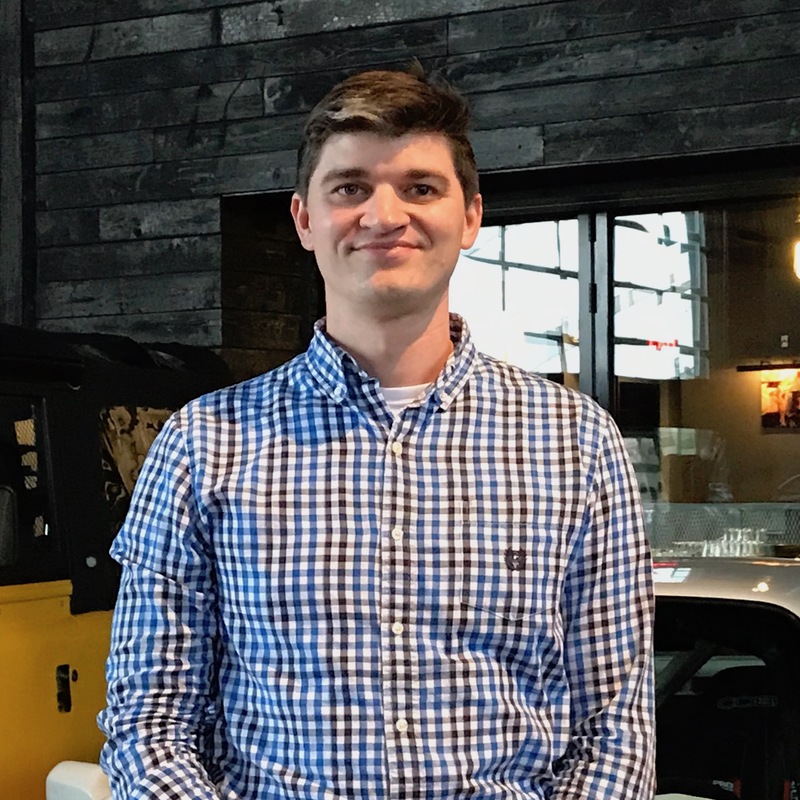 IAVA’s Legislative Associate, Travis Horr, submitted IAVA’s written testimony to a Nov. 16 House Veterans’ Affairs Committee (HVAC) hearing on the GI Bill payment delays that have affected thousands of student veterans. As one of our Big Six priorities, #DefendTheGIBill remains an important part of our work in Washington. And IAVA’s amazing Rapid Response Referral Program (RRRP) has been working diligently to help any veterans adversely impacted by this issue. One of our very own 2018 Fall Stormers continued her powerful advocacy work long after the 2018 Fall Storm the Hill. Stephanie Keegan authored this moving blog on the significant role the media has on the portrayal of veterans with a mental health concern. She not only expressed a personal and intimate experience her family went through but also called on the New York Post to stop stereotyping veterans with mental health concerns, as they did with a recent cover. Melissa Bryant, IAVA’s Chief Policy Officer, is continuing to draw attention to our Burn Pits campaign by contributing to this NBC 10 Philadelphia series on the matter beginning tonight. IAVA has been a prominent leader in the fight for the care of those who suffer from injuries sustained by #BurnPits. Melissa told her story of being exposed in Iraq and was joined by her father, also an Army veteran, who was exposed to Agent Orange while serving in Vietnam. Be sure to check out the story on the NBC 10 Facebook page later this weekend. 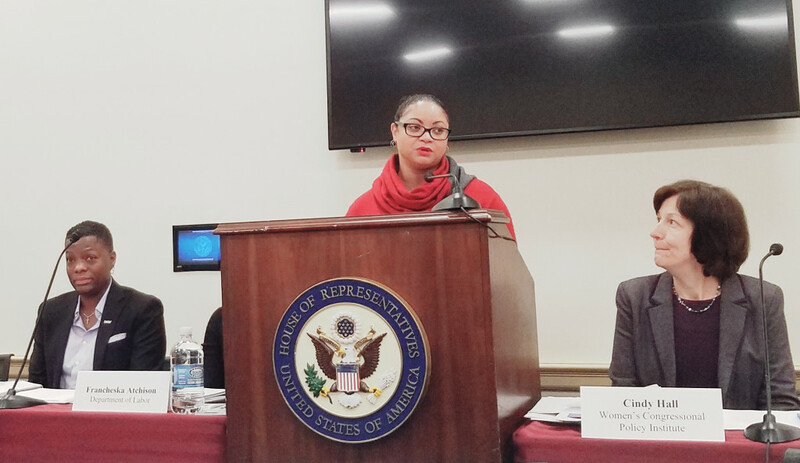 Melissa also spoke at a Thursday Capitol Hill briefing on Employment Challenges Facing Women Veterans Following Deployment. IAVA has participated at this annual event with the Women’s Congressional Policy Institute for the last three years. 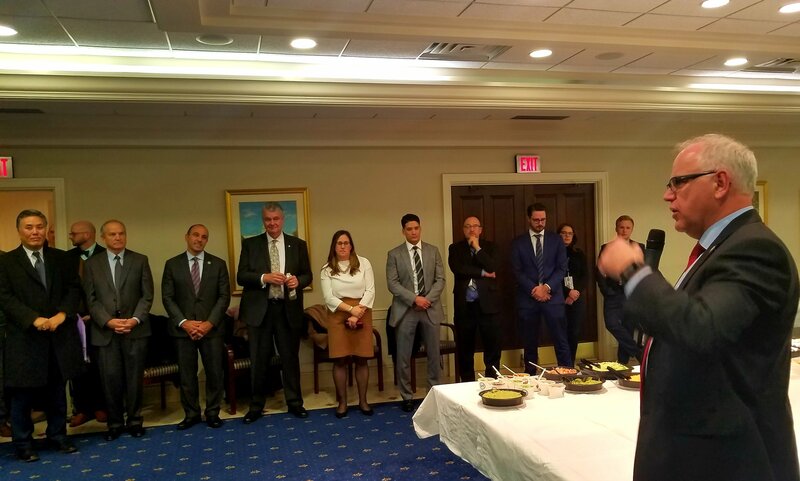 Lastly this week, IAVA’s Tom Porter and Travis Horr attended a reception to welcome new Members of Congress and to bid farewell to HVAC Ranking Member Tim Walz (D-MN), who is leaving Congress after recently being elected Governor of Minnesota. We thank Rep. Walz for his bipartisan leadership on the Committee and wish him the best of luck in his new office! This week the Burn Pits Accountability Act (S. 3181/H.R. 5671) added an additional 3 cosponsors across the Senate and the House. Thank you to Sens. Susan Collins (R-ME), Bob Casey (D-PA) and Rep. Nita Lowey (D-NY) for becoming the latest cosponsors on this important piece of bipartisan legislation! The Deborah Sampson Act (S.681/H.R. 2452) also picked up an additional cosponsor in the Senate with Sen. Ben Cardin (D-MD). Huge thanks to Sen. Cardin and all of our over 100 cosponsors!